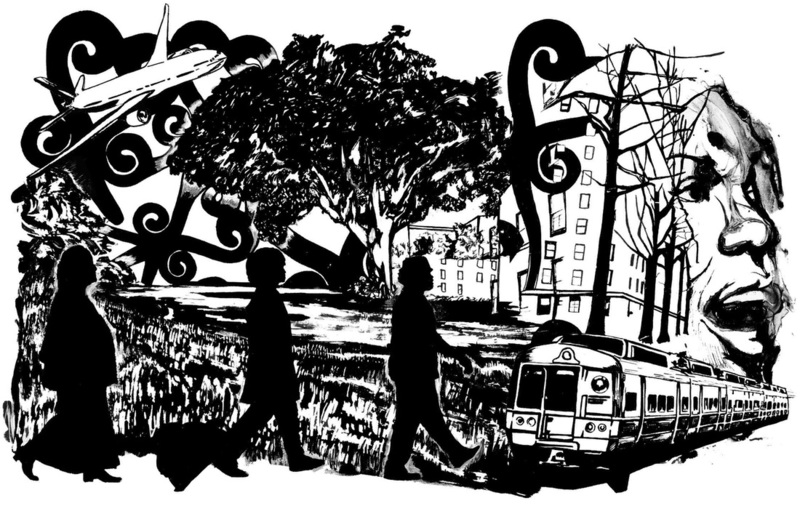 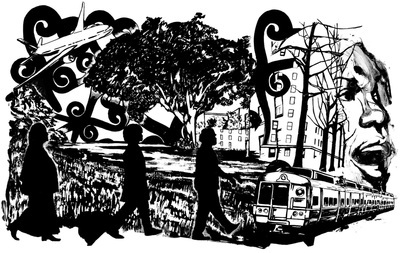 The Etched Steel Plaques project is a permanent installation of fifteen 9 1/2 inches by 15 inches etched panels/plaques on display in Harlem River Park between 138th and 140th streets. The professional artists commissioned to display their work were selected from a pool of submissions, which were then reviewed and selected by the Harlem River Park Public Art Project jury, the Harlem River Park Task Force Arts Committee and curators, Algernon Miller and Gwendolyn Black. 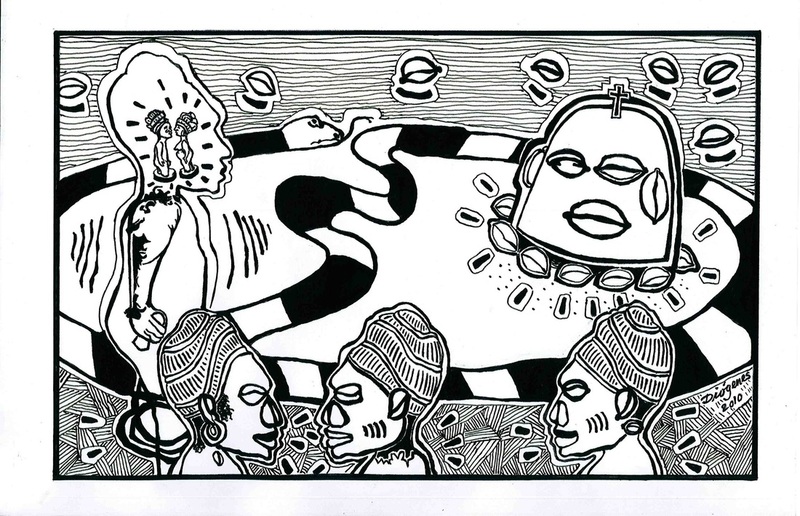 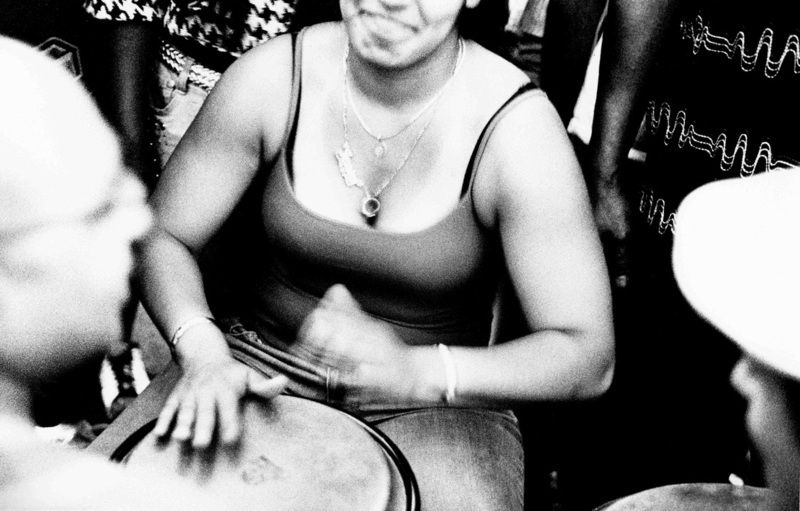 The work of each artist specifically addresses the cultural legacy of El Barrio/East Harlem and Central Harlem. The plaques, which make up this artistic event along Harlem River Park, incorporate the themes of Settlement, History, Culture, People, Folklore, Ecology and Industry in East and Central Harlem, adding local beauty to our waterfront. 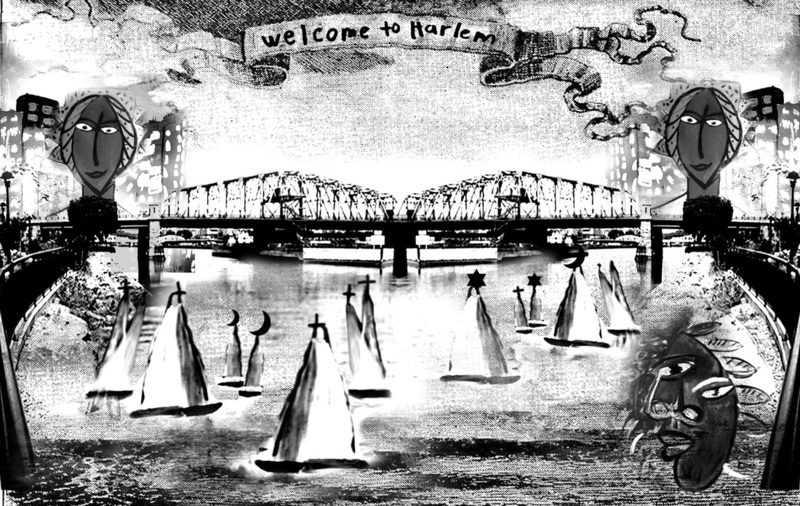 “Welcome to Harlem" introduces the idea of transiting the African Diaspora to New York from slavery to present day. 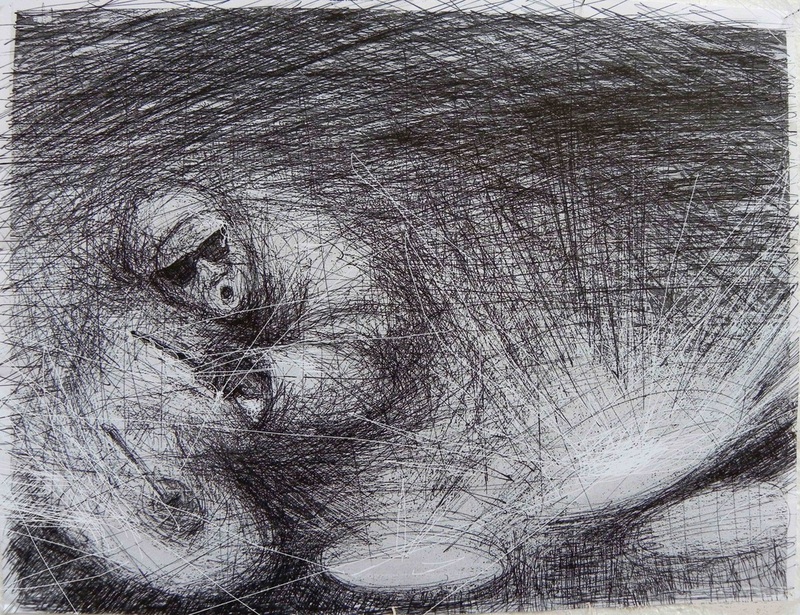 At the same time this image references the three major world religions on the tops of the ship masts. 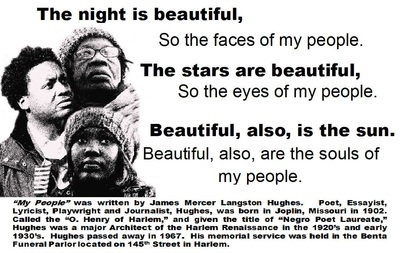 This is followed by and further depicts faces represented by James Mercer Langston Hughes' poem, "My People." 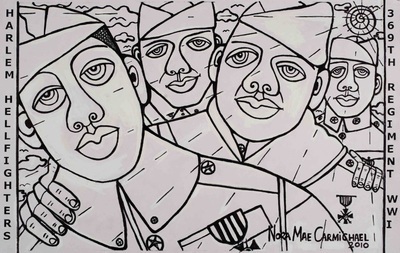 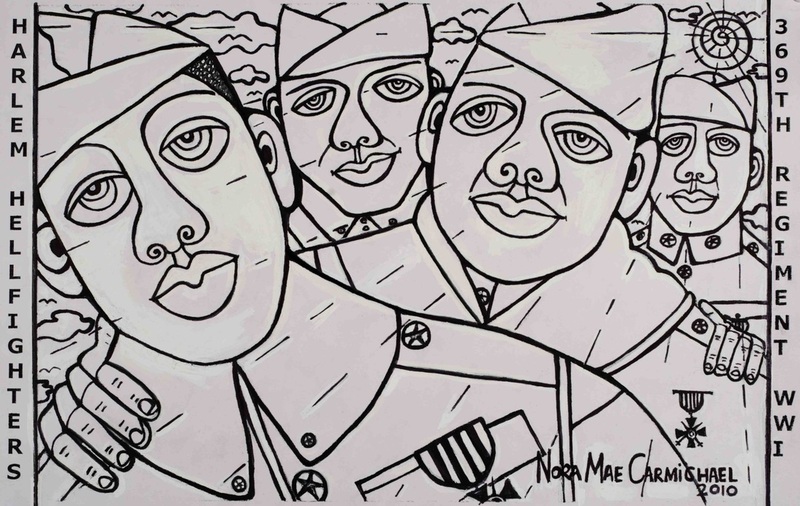 The essence of the Harlem Renaissance is symbolized in the next three placements: the "Tree of Hope," immortalized by Bill "Bojangles" Robinson; the Harlem Hellfighters of “Homecoming," representing the Black soldiers who fought in America's wars; and "Madam C.J. 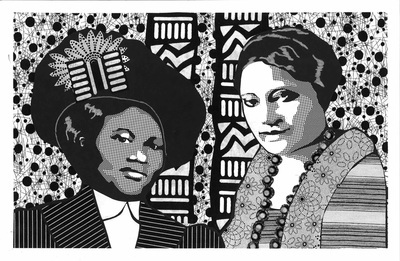 Walker and A'Lelia Walker" (her daughter), portraying the societal impact of women as entrepreneurs in early Harlem. 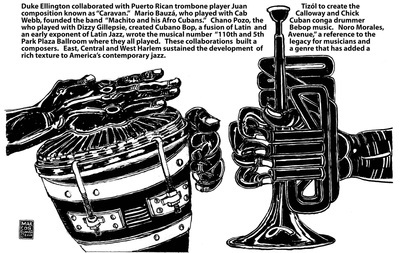 The collaboration between African and Latino-based artists is epitomized by the musical conjoining of Duke Ellington and Juan Tizol. Their association gives maximal note to the kinship between the cultural narratives of Blacks and Latinos. 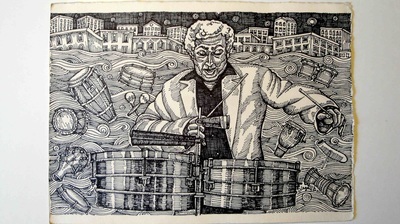 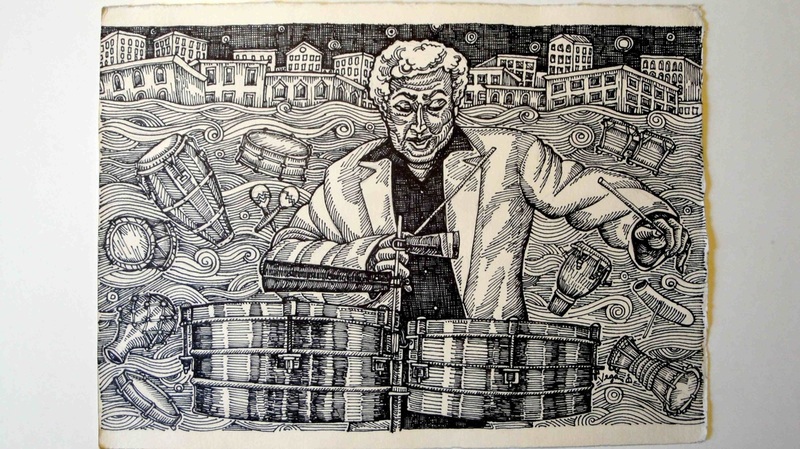 One of the most famous orchestra leaders, Tito Puente, also had close connections with bandleader Ellington. 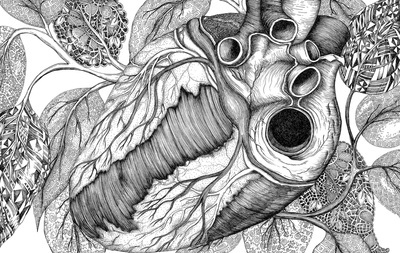 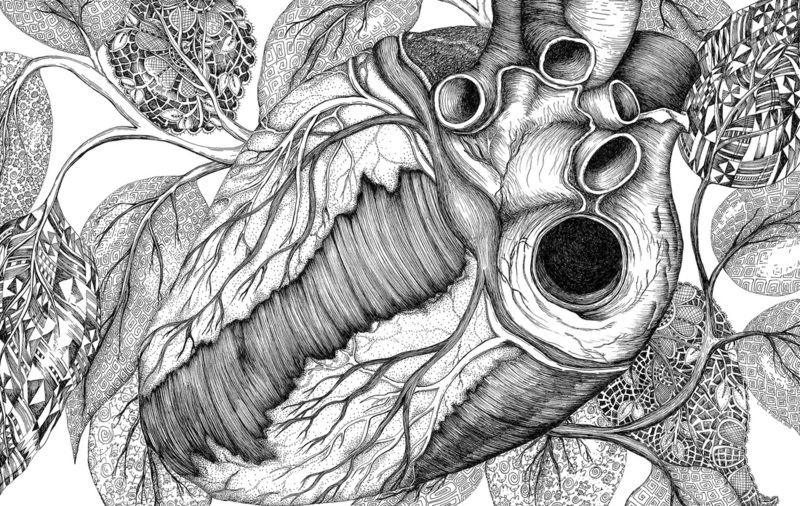 The next three plaques demonstrate powerful diasporan linkages: "The Drummer," which exudes a frenetic male energy, speaks to the unseen/spiritual forces within African, Caribbean and Latino cultures; "Heartlem," using biomorphic form to suggest the heartbeat of Harlem; and "Dale Mami / Play It Mami," leading to the female drummer, thus, completing the balance between genre, gender and rhythmic import. The African-based religions and symbols appear throughout "Artists' Cove" connecting the drumming rituals and guide us to the next generational immigration. 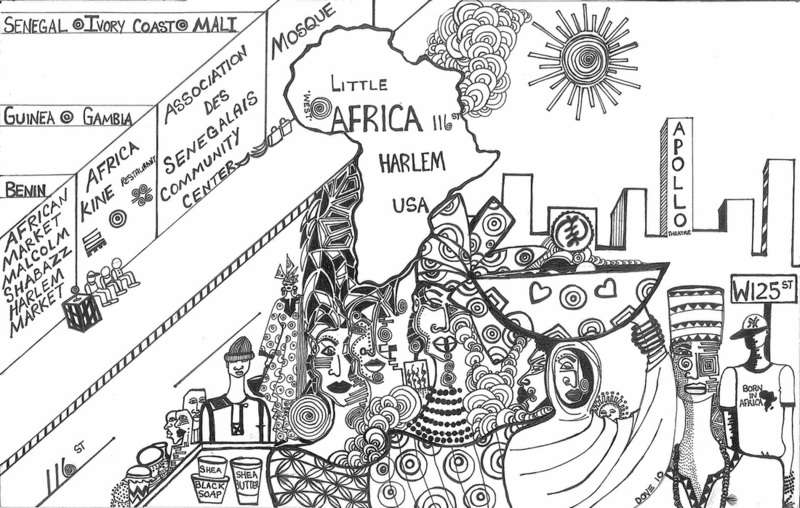 As we move to urban contemporary issues, the Adinkra Sankofa symbol in the sky references 'looking to the past' as a guide toward the future. 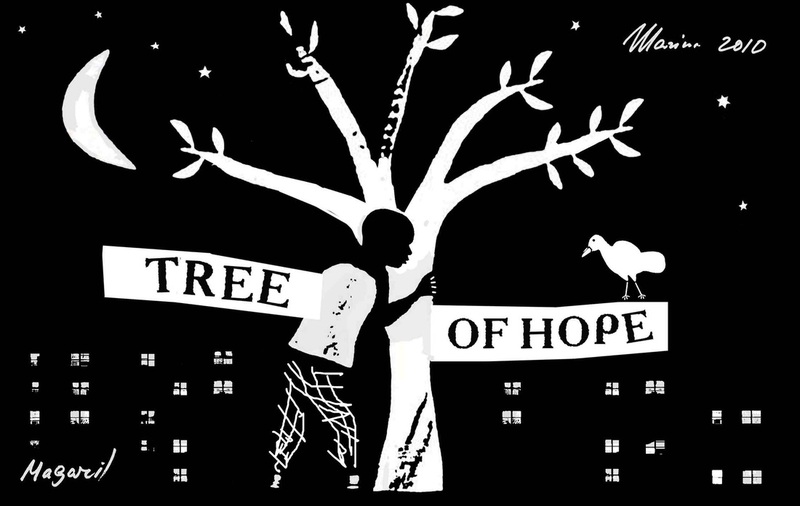 Under the canopy of trees, everyday people are shown with youth begging the question, "What will be the future of Harlem?" 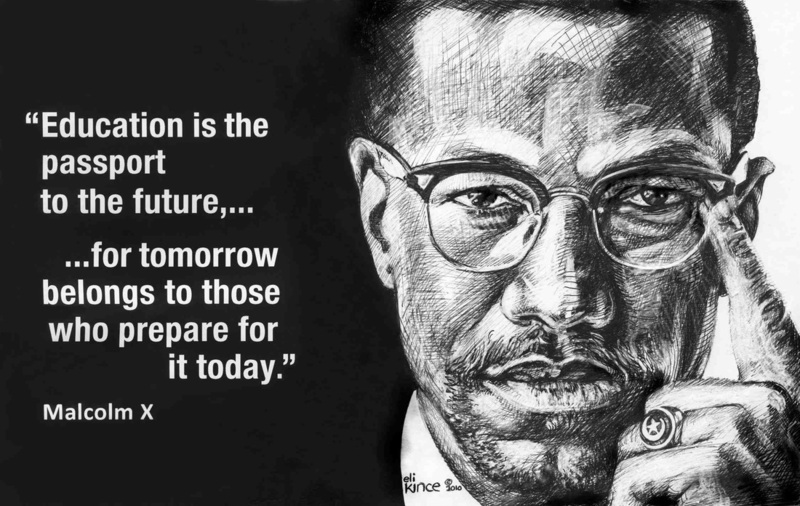 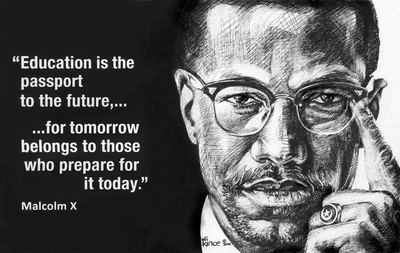 "Malcolm X" then addresses his notion of how to move forward by advancing education as a fitting "passport to the future." 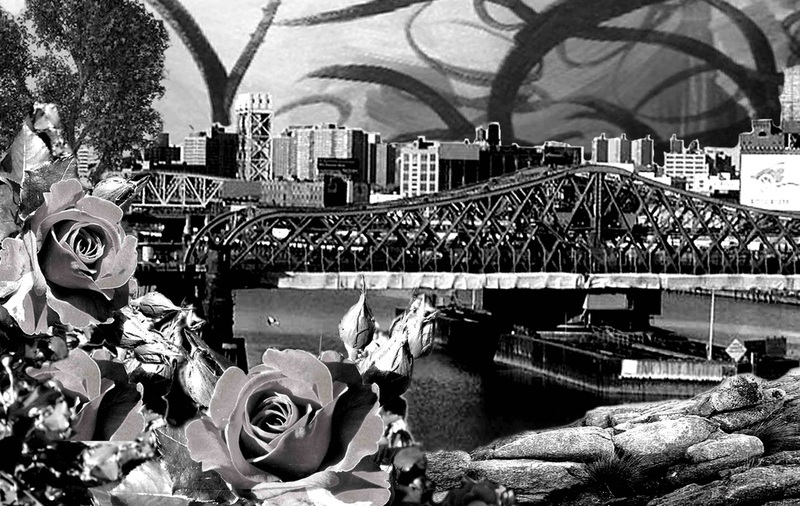 The last image reflects the bridging of cultures along the shores of the River Harlem. It blooms with the hope that all people, including the fifteen artists who have created the images shown, will continue as a part of the innovative flow within and surrounding our community. Harlem Arts Alliance, New York City Department of Parks and Recreation, Harlem River Park Task Force, Abraham Lincoln Neighborhood Development Corporation, Riverbend Housing Company, Inc., Riverton Tenants Association, The New York Community Trust, Full Spectrum of NYC, McKissack & McKissack, Columbia University, Anita Durst/chashama, Con Edison, The Janus Property Company, Harlem Community Development Corporation, and numerous individuals.